Hello, Everyone. 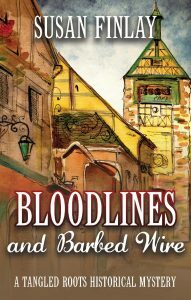 I promised to do a cover reveal once I had the final cover for Bloodlines and Barbed Wire. I now have the front cover, created by Ken Dawson, of Creative Covers, a UK company ready. The back cover is still in the works. You might like to see the first book in the series, too, to see how the books look together. Just when he thought he knew everything about his German ancestry . . . Lucas Landry discovers he may have missed an entire branch of his family tree, a branch that might be better left off. After receiving an email from a teenager, Mikayla Carson, who thinks she’s related to Lucas Landry’s great-grandfather, Franz Nagel, Lucas travels to Phoenix, Arizona to meet her, her brother David, and their German great-grandmother, Elisabeth Hoffman. As a genealogist, Lucas is excited that he may have found more of his relatives. But his investigation soon brings to light a darker side to this Nagel family’s history. Does he really want to know if his bloodline is tainted? Even if he does, it won’t be easy: Elisabeth, a reclusive pack-rat suffering from dementia, has piles of old documents and family diaries, but where did she get them? They don’t explain how she is related to the Nagels. Additionally, her mind is a jumbled mess and her answers to his questions are unreliable. He’s about to give up on the quest, until his interest is piqued when he uncovers a newspaper clipping about the war-time murder of one of the Nagels. Still, he’s torn because his wife is already irritated with him for spending so much time on his genealogy. Then Mikayla calls him, frantic because she, David, and Elisabeth are in danger of getting separated and put into homes unless a family member steps in and helps them. Against his wife’s wishes, Lucas returns to Arizona and continues his research, slowly revealing through diaries the tragic lives and secrets of three Nagel teens; their father’s young mistress; and two of the teens’ nieces. Their stories are spread from Bavaria, to a Lebensborn maternity home in Dresden, to a concentration camp in Poland. But will those diaries tell him what he needs to know? 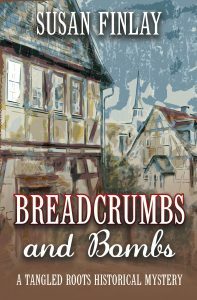 If Lucas has any chance of helping Elisabeth and her great-grandchildren, he must first find out how Elisabeth is connected to this Nagel family, and then whether or not she is related to him and his brother, Seth. I still don’t know the exact publication date for Bloodlines and Barbed Wire. I do know it’s getting close . . . I’m thinking in the next three to six weeks. I’m waiting for full book cover, final edits, and proofreads. I’ll keep you updated. Definitely too long – cut by third at least! Leave a reply on "Cover Reveal for Bloodlines and Barbed Wire"